There can be few writers who have painted such a penetrating picture of Victorian life. From the outset of the novel, following Oliver's birth and his mother's death, observe how Dickens vehemently satirises the hypocrisy of his society regarding its callous attitude towards the urban poor - most notably in the character of the self-important beadle Mr Bumble. 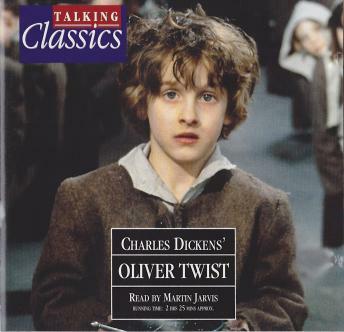 Notice, also, how innocent Oliver is but a toy in the hands of the villains, who include the sly and miserly Fagin and ruthless and sadistic Bill Sikes, two of the author's most intriguing characters. 1. BIRTH OF AN ORPHAN. Oliver is born an orphan. On his ninth birthday, he is sent to the workhouse, where he meets Mr Bumble, the beadle. After courageously asking for more gruel, he is sent to Sowerberry's under­takers. Here, he is placed under Noah Claypole, a charity boy. Oliver is soon apprenticed; but when Noah insults his mother, he gets involved in a fight and resolves to leave his employment. 2. STREET EMPLOYMENT. Oliver arrives at Barnet, where, hungry and desolate, he is approached by the Artful Dodger, who offers him a bed for the night - at Fagin's lair. The Dodger and Charlie Bates arrive the next morning to show off their morning's takings and it is agreed that Oliver will accompany them on their next outing. Oliver watches on as the Artful Dodger steals a handkerchief from a gentleman. But when he takes flight, Oliver is pursued and caught. The victim of the robbery, Mr Brownlow, takes pity on Oliver and takes him back home with him. 3. TEST OF CHARACTER. Oliver wakes up to find himself in a strange place. Mr Brownlow enters and is startled to observe a resemblance between Oliver and a portrait on the wall. Meanwhile, Fagin is furious at the news of Oliver's capture. Worried that Oliver will disclose vital information, Fagin dispatches the Dodger, Charlie and Nancy to find him. Back at Mr Brownlow's, Oliver is sent on an errand to return some books and money to a bookstall, but Brownlow's friend Mr Grimwig is doubtful whether Oliver will return. 4. HOUSE ROBBERY. While on his errand, Oliver is nabbed by Nancy and taken back to Fagin's lair. He is then told to assist Bill Sikes and Toby Crackit in a house robbery. Only at the last moment, however, does Oliver realise the true nature of his work. He is pushed through the window, but when the staff is alerted, Oliver is shot in the left arm and abandoned. He faints and, upon waking, crawls to the nearest house for help, where he is taken in by Giles, the butler, and cared for by compassionate Rose Maylie and her aunt, Mrs Maylie. Doctor Losberne is sent for to tend Oliver. 5. DEVILISH PLOT. The Maylies take Oliver to the country. Romance is in the air as Mrs Maylie's son, Harry, proposes to Rose but she declines - due to some 'stain' on the family name. The story now reverts to Mr Bumble, who, newly married to the workhouse matron, Mrs Corney, has been promoted master of the establishment. A stranger, Monks, plies Mr Bumble for information regarding Oliver's birth. By arrangement, the Bumbles visit Monks' lodgings, where Mrs Bumble relates how a nurse robbed Oliver's mother's corpse of a wedding ring and gold locket - the only evidence of Oliver's true identity. These, Monks triumphantly casts into the river. 6. HONOUR AMONGST THIEVES? Nancy takes a grave risk visiting Rose. She tells of the threat of Monks - a bargain struck between Monks and Fagin to capture Oliver and turn him into a thief. She then reveals that Monks is actually Oliver's elder half-brother. Meanwhile, Rose takes Oliver to visit Mr Brownlow, who decides that the recovery of Oliver's inheritance is their primary objective. Back at Fagin's, Sikes asserts his brutal authority over the 'untamed' Nancy, and Fagin hires Noah Claypole to follow Nancy. 7. A SAVAGE DEED. Watched closely by Noah, Nancy attends a secret meeting with Brownlow. Sikes is told about Nancy's betrayal and, fuelled by Fagin, he returns home and bludgeons her to death. 8. ON THE RUN. Recognising Monks as Oliver's half-brother, Brownlow tells Monks what he knows - how Monks' father was forced into a loveless marriage, giving birth to Monks, and how later he met his true love, of which Oliver was the unfortunate issue. He accuses Monks of involvement in Nancy's murder, at which point Monks promises to make amends. Meanwhile, Sikes, still on the run, takes refuge with fellow-robbers Toby Crackit, Mr Chitling and Kags. When the police arrive, Sikes tries to escape but accidentally hangs himself on his own rope. 9. JUST DESERTS. Pressured by Brownlow, Monks now fills in the missing details, in which it turns out that Rose is Oliver's sister. Harry Maylie again proposes to Rose, and later they get married. The scene turns to Fagin's trial. He is found guilty and spends his last despairing days alone in his cell. Brownlow decides to divide Oliver's inheritance equally between Monks and Oliver, and to adopt Oliver himself. The novel ends beside the grave of Oliver's mother, Agnes.